£100 deposit to book. Balance plus £100 bond 6 weeks before stay. Our new 2018 caravan to hire, features a large deck 23fft out at front with a sunken hot tub great for relaxing with friends while others are on lake with their jet skis. Brilliant plot for watching the action and also spotting the different species of ducks, etc (nests on lake in front of caravan). The caravan has its own jetty at the lake edge where you can leave your own jet ski in front of the caravan (charges apply from site to use lake and you must have license and insurance) or you can hire 1 from the watersport office. Tattershall Lakes is a fun filled site with plenty of watersports, jetskis, aquapark., swimming pool with waterwalkers etc. Theres restaurants, amusements, kids park and splashpark. outside cinema and entertainment area and new this year is the high ropes course. Now onto the caravan. 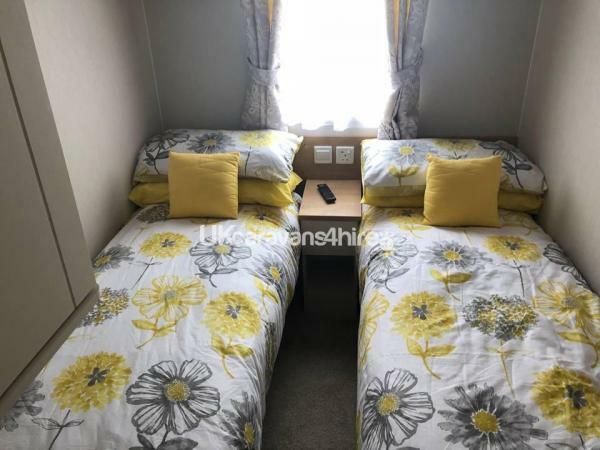 Its a brand new caravan, cleaned and kitted out to our top standards. The lounge has front opening doors to the outside veranda and hot tub. Large corner sofa with chairs and large screen tv. The modern and spacious kitchen area has everything you need & more. Theres an instegrated fridge & freezer, washing machine and microwave. As well as the dining table and chairs and the dresser. The large master bedroom has a king size bed , a large dressing area and wardrobe and an ensuite wc. Theres plenty of room to fit the travel cot too. There is tv/dvds in each bedroom. There is a large shower room with wc and basin. 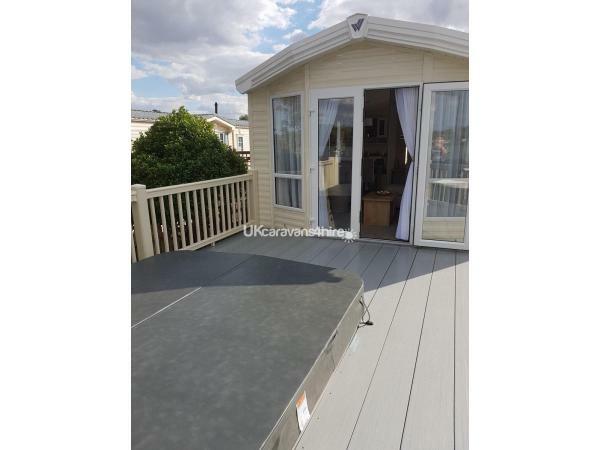 To the side of the caravan is the car parking space and in front of that is a further decked area perfect for barbeques and get togethers . Additional Info: Water sports Inc jet ski. No reviews found. 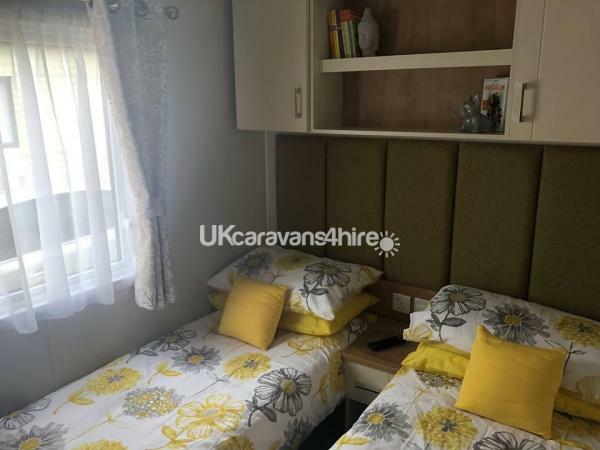 If you have recently stayed in this holiday home please leave a review, it only takes a few moments and will really help future guests when they are searching for holiday accommodation at Tattershall Lakes.